Equestrian. To name a fragrance after anything horse related might seem a stretch but if you have spent any time around horses or livestock you will recognize many of the pleasant sources of effluvia on offer in this perfume. From the time I could toddle, I could smell horses. Our next door neighbor had a pasture with two chestnut beauties that I would pet from time to time. My elementary, middle and high school years featured some equine and cattle. My sisters even had two ponies, though that was short lived, and my stepfather owned about 200 head of cattle in a typical Florida cow/calf operation. When it came time to round up the herd, I would watch in awe as the cowboys swayed with their horses and lassos and whips, nudging the cows into the pens for their shots, worming and testing. My last three years of high school I had my own steers (Kaw-liga and Mr. Bo Jangles were my favorites) I would raise and fatten up for market. Twice a day, every day, I would be mucking his stall, brushing his coat, leading him on a rope and feeding him flakes of hay and show feed. Molasses and sweet hay would clog my nostrils for hours on end. Then I became an agriculture teacher at a middle school and dairy goats taught me the earthy melody of peanut hay and the fermented tang of chaffhaye. 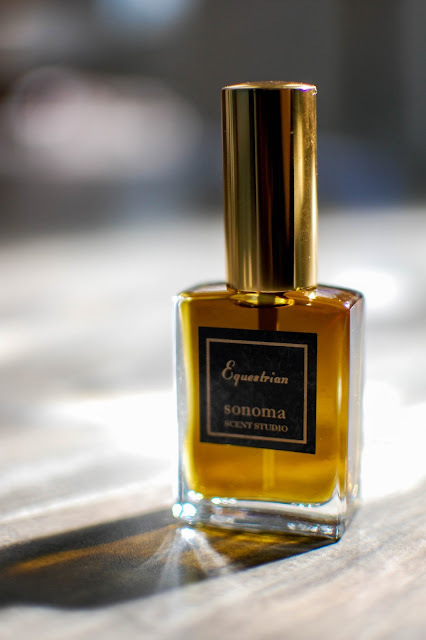 Laurie Ericson at Sonoma Scent Studio spent many youthful afternoons around her horse at the barn, and this new fragrance, released during the summer of last year, cocoons those aromatic memories of hers and frames them within the bounty of exquisite notes to create an opulent fragrance. 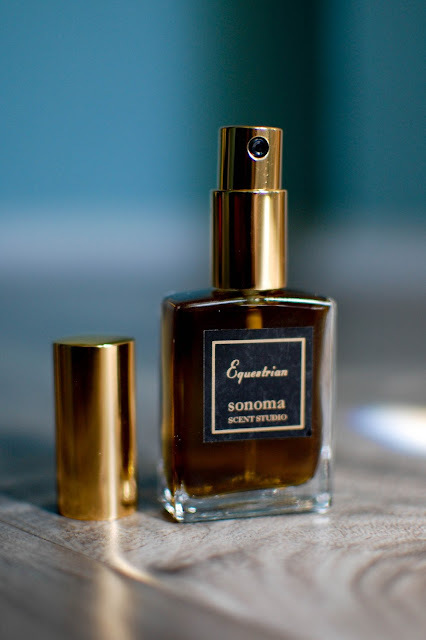 Equestrian- Notes: Apple accord, grassy notes, hay absolute, leather accord, jasmine sambac absolute, violet, labdanum absolute, Virginia cedar, natural oakmoss absolute, patchouli, New Caledonia sandalwood, benzoin. The first misting hits the senses with that familiar, yet often overlooked, joy of biting into a sweet crisp apple belly. Farmer's market fresh, the aroma lifting from crates of apple varieties laid out in rows like beads on a necklace. The fruity flesh and peel softens under the spell of apple blossom petals and earthy flakes of hay. After several minutes the most incredible leather accord emerges. Worn leather, ripe with age and use, polished like a stone in some areas and sweetened with resin and waxes from polishing and care. Labdanum and violets float around the edges of the leather, imparting an aura of ensorcelled sentimentality. As the apples, blossoms and sweet hay fade into the ether, shimmering bronze oakmoss and tall stands of sacred cedar flank the sun warmed leather of the saddle beneath. The horses' heart tattoos its powerful rhythm into the skin, surging through the forest, an errant wave crashing into the underbrush. Diaphanous veils of magic hour sunlight stroke the rider and companion, leaving trails of balsamic vanilla wake in the heart of the wood. I wanted to highlight the shifting shades of this juice. It looks like a deep loamy green at times then shifts to show burgundy tints and then a deep bronze appears. I purchased the 17 ml bottle for $55. This one is a real dream. If you have an affinity for leather, please do yourself a favor and sample this beauty. 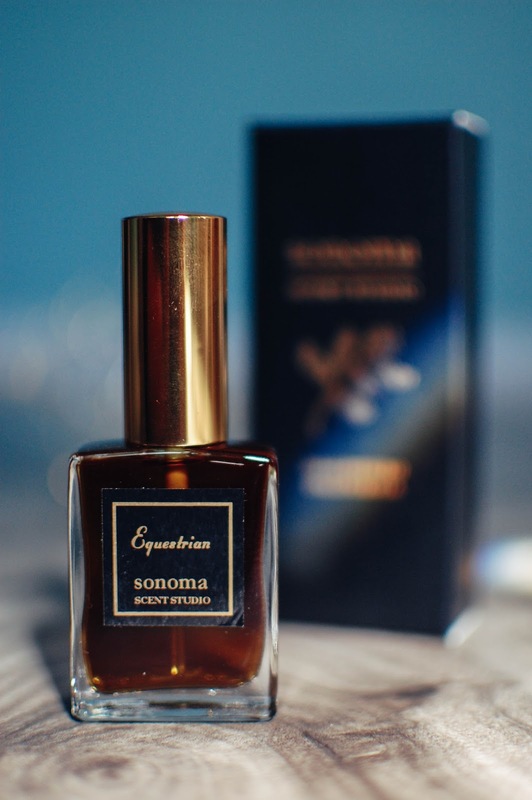 Laurie has a new fragrance releasing soon that is a cozy gourmand scent with notes of dark fruits, chocolate, amber, tobacco, patchouli and more. It promises to be a stunner as well. This sounds rather marvelous, I like the fresh apple note and am intriqued by the leather. What a wonder it must have been to have your own steer and spend time with horses, it seems like a cherished experience. My cousin who lives a few hours south, grew up riding and showing horses and actually lives and works in an apartment in a stable. I believe I'll mention this to her, she'd really appreciate it. This scent makes my knees weak. I love it. So happy to have a decent amount of it to wear. Growing up around agriculture and being in FFA were cherished experiences. Living above a stable sounds like a horse lovers delight! 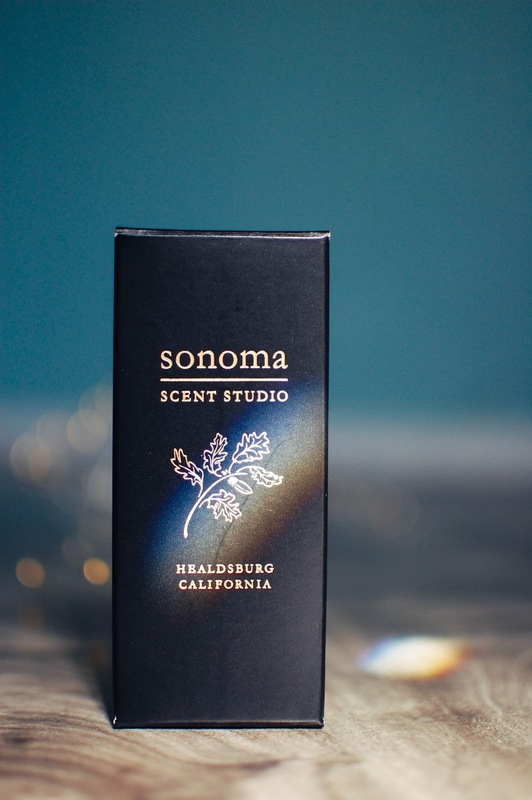 I try to really push myself and get creative in the fragrance writing. I miss doing it. I haven't don't it in a little while. Need to dust those linguistic bones off. I can tell it's really special and made me want to try out this scent.